Is your small business one of the 17% of businesses that operate in rural communities?¹ You may benefit from the popular and affordable USDA Business and Industry (B&I) Loan Guarantee Program. The rural-urban divide in the United States is particularly prevalent, with major economic and cultural differences. And unfortunately, smaller populations in rural communities can sometimes make it harder to get a small business up and running. Thankfully, entrepreneurs in rural areas have an easier time getting business financing, which helps them grow small businesses and revitalize struggling rural areas. Plus, more and more entrepreneurs are relocating to rural parts of the country to benefit from reasonable operating costs, low taxes, and a simpler lifestyle. Farms and ranches tend to be the center of rural areas and are crucial to creating good jobs and vitality for the community. If you’re an entrepreneur who prefers the countryside over big cities, you’ve likely heard of the USDA business loan. This government-backed financing program helps improve the quality of life in rural communities by enhancing economic opportunities—particularly for farmers and ranchers. Our guide below will give you all the facts you need to know about the USDA business loan. The U.S. Department of Agriculture’s (USDA) Business and Industry (B&I) guaranteed loan program is designed to help credit-worthy rural businesses find capital and stimulate business growth. The goal of this program is to support the creation and preservation of important jobs in rural areas by providing guarantees up to 80% of a loan made by the lender. Learn more about our recommended loan providers for growing your business. USDA business loans are better for larger projects. So if you need a relatively small loan, it may be better to try for an SBA loan. Although the lender determines the interest rate, the USDA will make sure it’s not outrageously high. If your USDA business loan has a variable rate, you can rest assured that the rate cannot be altered more frequently than every quarter. Although you and your lender work out the loan’s terms, the USDA sets maximum terms based on how you plan to use the loan. USDA-backed loans have some stellar benefits. In most cases, the longer the repayment term of a loan, the lower the APR. And you’ll be pleased to know that USDA business loans are fully amortized, meaning your monthly payment will remain the same throughout the life of the loan. Plus, there’s no balloon payment at the end of the loan term. Now here’s a bit of bad news. Keep in mind, however, that banks may charge origination fees, appraisal fees, and annual renewal fees. If you try to pay off your loan ahead of your agreed upon term schedule, you may be subject to a prepayment penalty fee. Just like any other business loan, the bank will always regain its costs—regardless of the length of your agreement. When exploring different lenders, look closely at each lender’s quote. We recommend creating a spreadsheet to examine interest rates, monthly payments, and additional fees to get an apples-to-apples comparison. Does the USDA small business loan program sound like the right fit for your small business? Then it’s time to get down to business and look into eligibility. Since the USDA guaranteed loans are solely meant to reinvigorate rural economies around the country, they have specific requirements of their borrowers. Here are the eligibility requirements for USDA business loans. The USDA itself isn’t creating the loans—banks are. This means you’ll need a personal credit score of 680 or higher. Though other factors are considered, there’s a substantial parallel between higher credit scores and approval rates. Keep in mind that the USDA B&I program may be an attractive credit enhancement for companies. The USDA characterizes rural areas as any location other than a city with a population under 50,000 or the urbanized area of that city. Before applying for a USDA loan, make sure your property is located in an eligible rural area. To support loan repayment, borrowers must have sufficient cash flow. 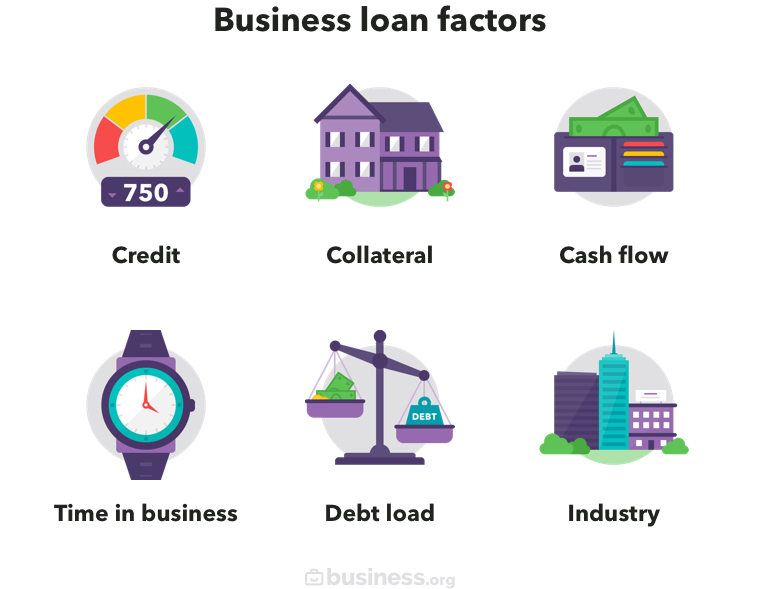 Like most business loans, USDA business loans require a personal guarantee from all business owners, partners, and anyone else who owns 20% or more of the business. Existing businesses must have a minimum of 10% tangible balance sheet equity at loan closing. Startups, on the other hand, need a minimum of 20% tangible balance sheet equity. Tangible equity consists of equipment, real estate, and cash. In addition to a personal guarantee, borrowers must also put up collateral for the loan. The collateral is typically equal to the loan amount, not the value of the assets you’re financing. If your business is a startup that lacks sufficient cash flow or you lack strong personal credit, you may need to submit a thorough business plan with financial projections. To determine if your business meets the eligibility requirements, head to your local USDA office. The USDA will review your application within 30 to 60 days. Unfortunately, this means that funding may take one to three months. So if you’re looking for quick cash, we recommend searching for other small business loan options. Curious to learn more about how to get approved for a business loan? We encourage you to explore the most important business loan requirements. USDA loans aren’t just for farmers. If your hotel property is located in a rural community, you could be eligible for financing through the USDA Loan Program. The loans are traditionally hard to get, but not impossible. To qualify, the owner of the hotel must have a proven track record, a bullet-proof business plan, and a solid credit score. This program guarantees up to 80% of a loan made by a commercial lender. In 2015, the USDA guaranteed a whopping $7.5 million loan to the Southern Hospitality Group to purchase a seven-story hotel in Alexandria, Louisiana. These grants are available to public and private nonprofit corporations and Indian tribes in rural areas with no more than 50,000 residents. They help pay the costs for economic planning, training, and technical assistance for rural business owners. These specific grants promote job creation and economic development and stability in distressed communities. Funding supports construction, nonconstruction, technical assistance, and revolving loan fund projects. The value-added agriculture producer grant helps farmers take their agricultural products, like fruits and grains, and turn them into something value-added, like jams or bread. The goal of this grant program is to generate new products, expand marketing opportunities, and increase revenue. Plus, it contributes to rural economic development and enhances food choices for consumers. While there is no maximum USDA grant amount, smaller requests are typically given higher priority. In most cases, business grants range from $10,000 to $500,000. There’s no doubt that the United States Department of Agriculture (USDA) is an excellent source for funding a small business and stimulating economic growth in rural communities. USDA business loans offer high loan amounts, affordable interest rates, and long repayment terms, which should catch your eye if you’re a rural business owner. That said, they’re not available to the majority of small business owners. If you’re not eligible for a USDA business loan, consider alternative business loans for low-rate funding. Have you had experience applying for a USDA business loan? Sound off in the comments below!